This is a very random post of characters in books (or movies, but mostly books) that I love. They're in no particular order, just as I thought of them! Who are some of YOUR favorites?? 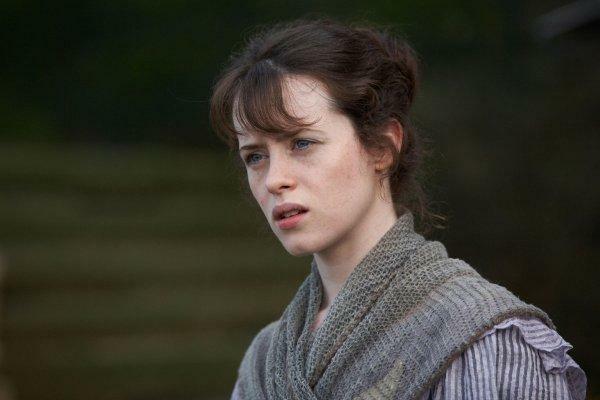 As soon as I started reading Little Dorrit, I knew Amy was one of the best characters ever invented. She is so sweet and loving - always serving others, and taking care of the unloved and unwanted. I also love how well she handles her relationship with her father. She could easily have been ashamed of him and disrespectful, but she respects and loves him as a daughter should, even in such a difficult situation. 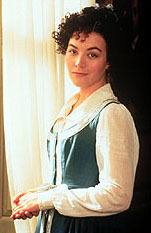 I think Jane often gets forgotten in all the"Mr. Darcy and Elizabeth" talk, but she is still my favorite female character in Pride and Prejudice. She always tries to build people up rather than tear them down and is not selfish in the least. How could anyone NOT like Molly?? So sweet and kind. Again I love her relationship with Mr. Gibson, and how it is portrayed in such a good light. She's another one who is always serving and helping others. I've always liked Lady Harriet. She sees a problem and does what she can to fix it right away. And I love her red riding habit.... which has nothing to do with her character - just sayin'. I can't say how many times I have read this book and each time it helps me to get through a tough day. She relates to everyday life and is very real. She isn't perfect at all, and deals with growing up from a 14 year old girl to a 21 year old young lady with bumps and troubles, but always seeks advice from older women (usually her mother) and follows through with it. She also always tries to bring sunshine into other peoples' lives, to make their path a little easier. She is one character I really hope will never appear on screen - I'd be too afraid they would ruin her. Beth is another "forgotten" character, with Jo and Amy more at the front. But Beth is still my favorite, being okay with being in the background, taking care of details without thanks, taking care of little ones and the poor and generally making the home a home. She is such a great character (especially on film). I just love how she stays with the Miss Jenkins and listens to their stories of their childhood. One of my favorite scenes is when Mary is "set-up" with Dr. Harrison by her step-mother, and how Mary handles the situation without being awkward - just frank and friendly, and not romantic. Ooooh Mrs. Plornish!! She is just too cute, with her attempted Italian accent, and continuously smiling face. You'll also notice how hospitable she is, taking in Mr. Cavelletto and Maggie, her father, and always having people over to her small abode. They are not rich, but they share whatever they can with others. And to close this off... Marmee. 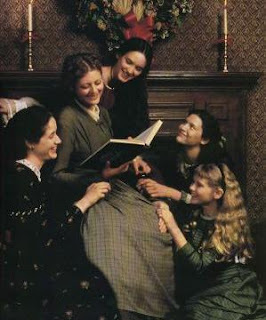 Who couldn't love Marmee - her relationship with each of her very different and unique daughters, how she guides them, and is always there for them. And how they all confide in her - if they have troubles, they go to Marmee for advice and comfort. I love good motherly figures in books - it makes the book twice as nice! Since your post I have been thinking about my favorite fictional female characters and one that comes to mind is Katherine Mortimer in Stepping Heavenward. Katherine is real to life. I enjoy walking through her journey with her and learning along side her from the people that come along her path. Another character I like is Jessie Wells in the book Jessie Wells. 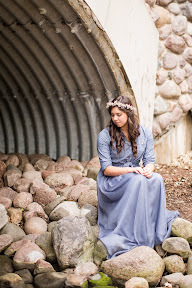 :) She is a beautiful example of a godly sister and friend. Those are awesome fictional charcters! P.S.You have a nice blog. Moriah - Oh, I love Katherine Mortimer too! She sometimes makes me want to shake her, but then I remember that I make mistakes just like she does and I give myself a shake instead. I think I've read "Jessie Wells"... but I don't remember much about it. I'll have to look that one up again! I just stumbled across your blog, following a link on your sister's blog. I enjoyed reading it and hope to keep up. How have you been since I've seen you? Your blog is so lovely, and I've really enjoyed getting to know you better through it. :) You are quite the seamstress! Have a lovely day! Let's keep in touch! Brook - Wow, I'm quite honored! Thank you!! Hi Rebecca!! Glad to hear from you! We've been great since the Reformation Faire - how have you been? I was so happy to meet you and your family and I hope we see each other soon! About Polly Milton - I absolutely agree with you Tara! She is one of my favorite characters ever. She's so sweet and sensible, funny and relatable! Also Mary Smith! I love her! Beth March and Molly Gibson are both very dear, and I LOVE Marmee. I want to be her when i'm a mother. Thanks for posting these! Elizabeth - YAY! Another Polly Milton fan! She isn't very popular it seems, maybe because Little Women is much more well known than An Old-Fashioned Girl, but personally I like her the best of all L.M. Alcott's characters!